Senate Bill 3412 contains President Obama’s plan to extend the “Bush tax cuts” to people earning less than $250,000 of income per year. What it doesn’t contain is any provision regarding the estate tax. Many Democrats have resisted a proposal from President Barack Obama to tax individual estates of more than $3.5 million at an estate tax rate of 45%. Democrats who balked at Obama’s proposal say they are worried about the effect on farms and businesses of increasing the estate tax rate and lowering the exclusion to $3.5 million per person from the current level of $5.12 million (including inflation adjustment). Republicans, who have pushed for repeal of the estate tax in the past, are in favor of extending the estate tax exclusion at its current level of $5.12 million (including inflation adjustment). The politics centers on two issues: first, the exclusion (scheduled to drop to $1 million per person in 2013 without Congressional action) and second, the top estate tax rate, currently 35% but scheduled to rise as high as 55% in 2013. Obama’s estate tax proposal sets the estate tax rate at 45%. For many small businessmen and farmers, the top priority is the exclusion amount. For the very wealthy, the estate tax rate is the main concern. According to the Congressional Budget Office, the federal government is expected to collect $11 billion in estate and gift taxes this year. Obama’s plan ($3.5 million exclusion and 45% rate) is projected to raise $9 billion more. If Congress fails to act, the Joint Committee on Taxation projects estate and gift tax revenues to rise to $42 billion. The question of whether Congress will act this year to “fix” the estate tax is fraught with uncertainty. Members of both parties have expressed concern regarding the rising deficits, the resulting higher national debt, and the need to raise revenues. Republicans who are pushing hard for the repeal of the estate tax or fixing it at its historically-high exclusion levels are being painted as only being concerned about the rich, a potential problem in an election year. Democrats are being pulled in several directions. They are receiving pressure from organizations supporting small businessmen, farmers and ranchers, and wealthy constituents to extend the current exclusion amount. The Occupy Wall Street movement and others favor letting the estate tax exclusion revert to $1 million. Meanwhile, President Obama is proposing his compromise. For those clients concerned about the potential increase in the estate tax, there are many estate planning strategies available to lower potential estate taxes. 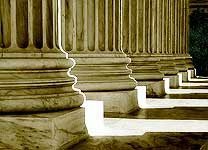 Taxpayers who act soon can lock in the current exclusion of $5.12 million by employing these strategies, and thereby benefit from the current historically-high exclusion amount, whether or not Congress acts this year. Some of these strategies are as simple as fully funding a child’s or grandchild’s 529 education savings plan or making an outright gift to a child, grandchild, or other favored person. Other strategies are much more complex, involving gifts to irrevocable trusts for the benefit of the spouse, children, and/or grandchildren, or gifts to an Irrevocable Life Insurance Trust, Qualified Personal Residence Trust, or Grantor Retained Annuity Trust, or establishing a Family Limited Partnership. Under President Obama’s estate tax proposal, many of these advanced estate planning techniques will be eliminated or severely restricted. Whatever the strategy, it must be implemented before year-end in order to make use of the current $5.12 million exclusion amount. Our office focuses on estate planning strategies for clients of all wealth levels, including clients who will be subject to estate tax at death. Other services include planning to escape generational estate taxation through the use of generation-skipping or dynasty trusts, asset protection strategies as well as estate and trust administration. As a member of the American Academy of Estate Planning Attorneys, our firm is kept up to date with information regarding tax developments as well as cutting-edge planning strategies for people of all wealth levels. You can get more information about a complimentary review of your clients’ existing estate plans and our planning and administration services by calling the office, or by visiting our website.